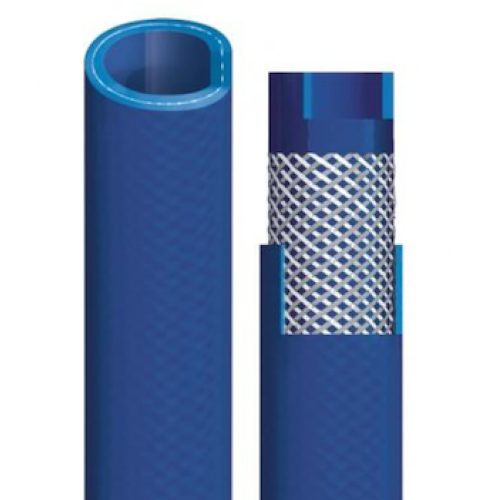 Technical Features: PU hose with high tenacity polyester yarn reinforcement. Very light and flexible even at low temperatures; high resistance to abrasion and bendings. High safety guaranteed by tight connection on fittings. Ideal for compressed air, pneumatic tools and cooling lines, spray and painting guns, sandblast.